Talkshow host David Letterman was inadvertently responsible for a big beauty trend. He asked actress Alicia Silverstone (doing the media rounds for her movie Clueless) about her pale blue fingernails in 1995. 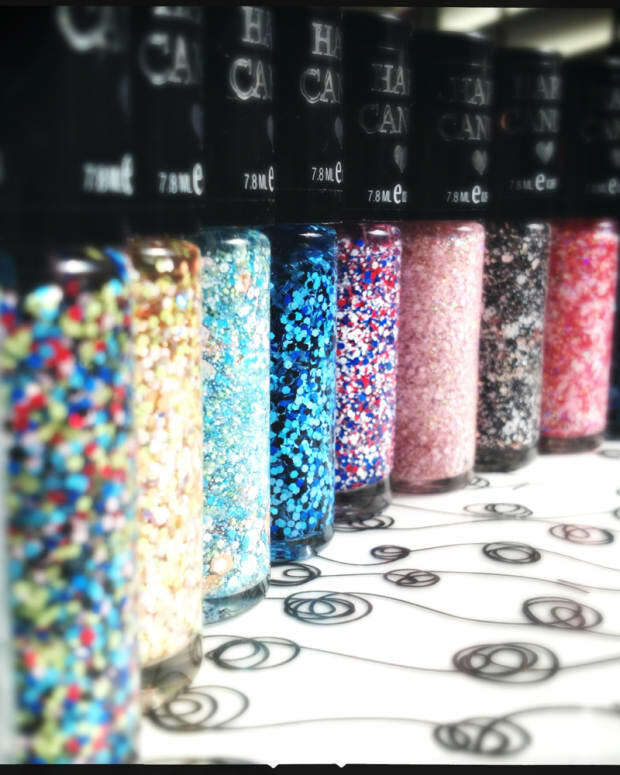 She answered, "Sky, by Hard Candy" and sent beauty geeks everywhere into a swoon. Canadians living in the beauty-product hinterland begged Los Angeles-bound friends (thank you, Natasha) to score us a bottle of Hard Candy Sky. Those were pre-Sephora, pre-Internet shopping days. If you wanted a hard-to-find cosmetic, you had to hunt and gather it yourself. Fifteen years later, I still have my Hard Candy Sky, with the coordinating blue diamond ring intact. In the neutral-loving &apos;90s, nail polish meant pale pink for fingers, red for toes. But Hard Candy Sky, a chalked-out pale blue -- the colour of an empty swimming pool -- was a gateway. And the Cosmetic Industrial Complex happily fed that addiction, creating ever more unusual hues. The dried blood shades began courtesy of Chanel&apos;s Rouge Noir (called Vamp in the US). Iridescent sparklers like Roach and Oil Slick made Urban Decay, and who can forget our obsession with OPI&apos;s Lincoln Park After Dark? 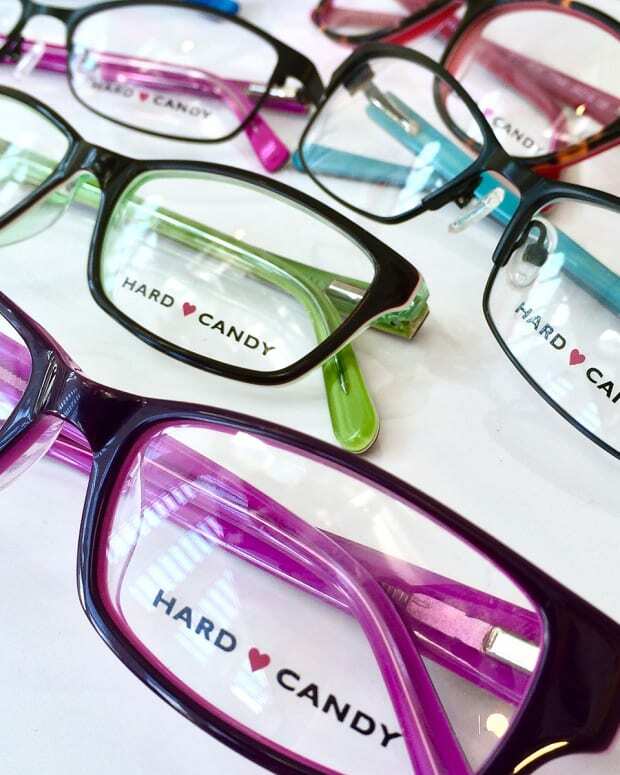 Until recently, Hard Candy was just a fond &apos;90s memory. Even a brief stab at resurgence ended in 2008 when the brand was shuttered. But now Hard Candy is exclusively at WalMart with nothing costing more than $10 so you can grab every shiny thing you covet, guilt-free. 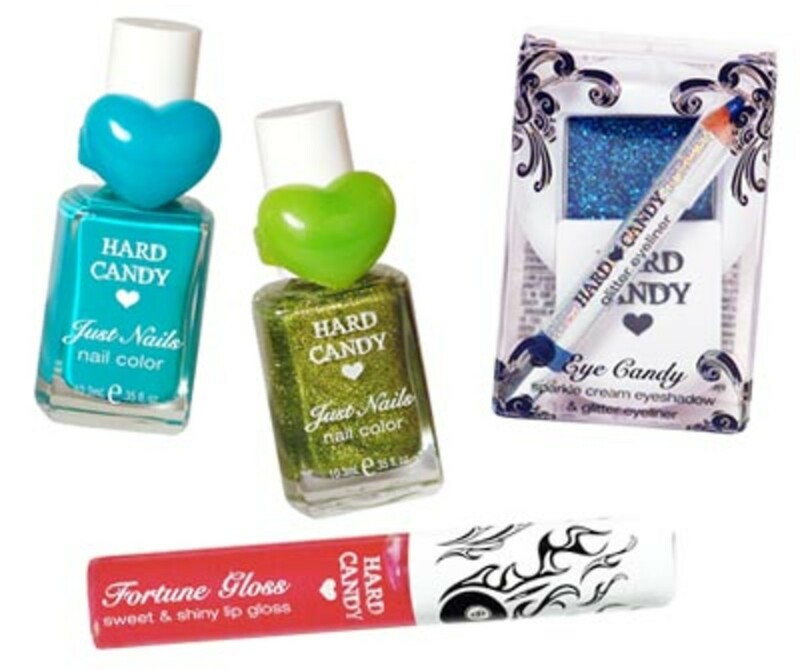 Fortune Gloss shiny lip gloss ($5.98) has a Magic Eight Ball embedded in the cap to answer your love questions, and glitter-flecked Eye Candy Cream Shadow ($4.98) comes with its own matching teeny eye pencil. But the Just Nails polishes ($4.98), still with the plastic ring, are the real stars. Sweet P pale green is loaded with sparkle, and Frenzy is an electric blue that will not interest the ladies who lunch at all. And that iconic, chalky-blue Hard Candy Sky? WalMart brass has promised it&apos;ll be back for Spring 2011. Just in time for pool season. Anyone else have Hard Candy archivist tendencies? Images in second photo courtesy Hard Candy.